These apartments are perfectly situated near the centre of Trapani on the sea walls, some with sea views and even their own terrace! Most apartments have a similar style in that they have the feeling of a Mediterranean beach house but with lots of nice finishing touches with the owners use of local artefacts and in keeping with the traditional houses of the local fishermen. 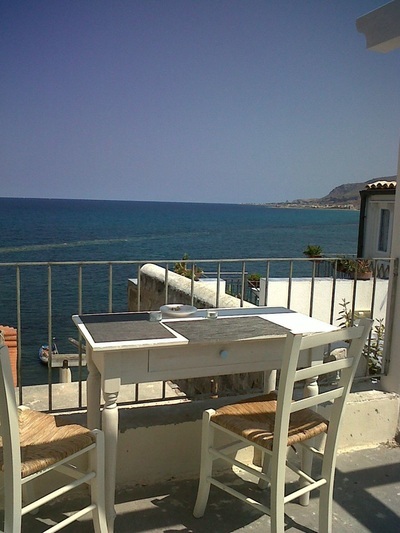 Ideal for those who prefer self catering, they have been recently renovated without losing their original characteristics, beams showing, majolica floors, plus windows and terraces with sea views. All apartments have the same facilities including a fully equipped kitchen, air conditioning and Sat TV. Most apartments have WIFI and some have terraces for exclusive or shared usage, plus direct access to the walls and beach. 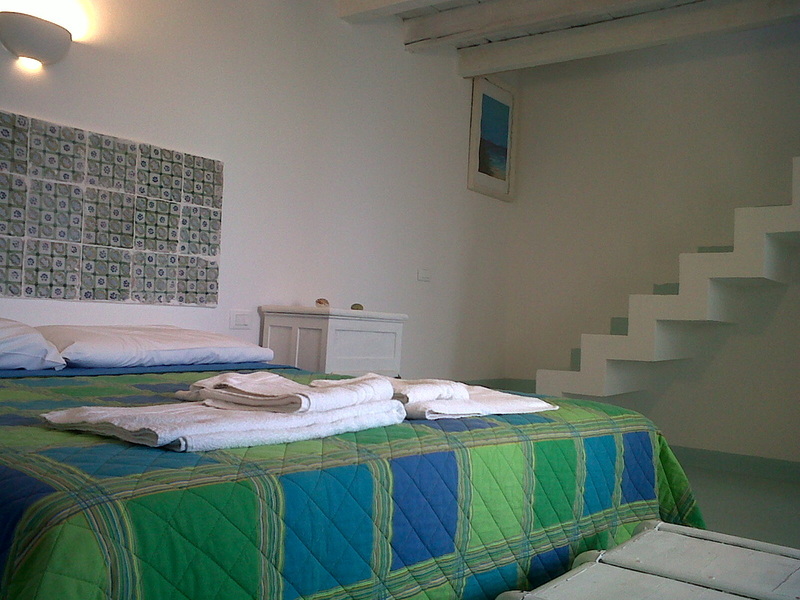 Didone: A studio for up to 2 persons, with corner kitchen, bedroom (three quarter bed, “queen size”) with seaview, bathroom with shower and exclusive terrace over the sea with deck (on the third floor) - a very small apartment. Tanit: Two bedroom apartment sleeps up to 5 situated on the second floor, with beautiful sea views, double bedroom, bedroom with bunk beds, bathroom with shower, living room and kitchenette, TV and air conditioning in the rooms. 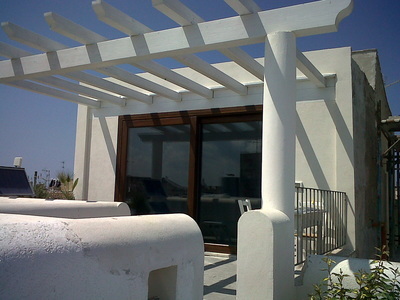 Asdrubale: A beautifully finished flat for up to 4 people, two double bedrooms (king size), living room/kitchen with sofa bed, bathroom with shower, exclusive terrace overlooking the sea (on the third floor). Annibale: A lovely flat for up to 3 people, on two levels. The apartment comprises a double bedroom (king size) with wonderful sea view, bathroom with shower, kitchen and exclusive terrace over the sea (on the fourth floor). Annibale 2: very similar to Annibale in terms of size and layout, but recently done with a walk in fabulous walk-in shower. SUPERIOR Apartments - Located in 2 historic buildings the apartments are beautifully restored to an extremely high standard in a great location right in the heart of Trapani with the city walls and beach just behind. All of the superior apartments have been finished in a boutique style demonstrating the owners love of local antiques which have been restored and modified for practical and aesthetic purposes. The bathrooms would not look out of place in any modern boutique hotel! COSTANZA: Located on the 1st floor this apartment of 50 square metres has a double bedroom , a bathroom with shower, kitchen, livingroom with double sofa bed and balcony with a lovely view over the historical centre plus air conditioning and LCD TV, and free WiFi access. RUGGERO: Again in the same building and located on the 3rd floor this apartment of 80 square metres has a bathroom with shower, kitchen, double bedroom with a balcony and view over the historical centre, living room with a double sofabed and balcony plus air conditioning and LCD TV, and free WiFi access.